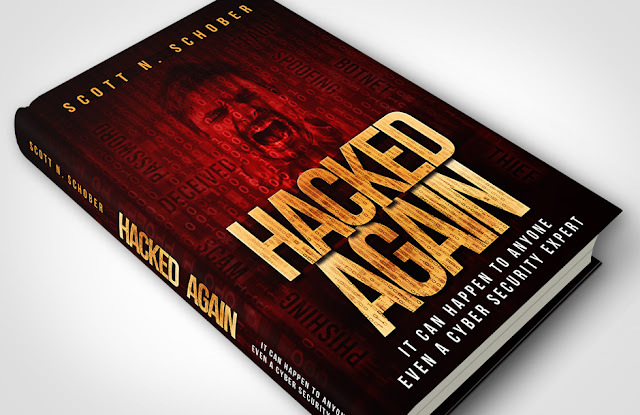 Hacked Again details the ins and outs of a cybersecurity expert and CEO of a top wireless security tech firm, Scott Schober, as he struggles to understand the motives and mayhem behind him being hacked. By day, he runs a successful security company and reports on the latest cyber breaches in the hopes of offering solace and security tips to millions of viewers. But Scott begins to realize his worst fears are only a hack away as he falls prey to an invisible enemy. Scott Schober shares his personal accounts as a business owner, thought leader, and wireless technology expert as his book examines a multitude of cybersecurity issues affecting all of us. Through tips and advice gained from his own experience, Scott offers hope to others by examining his own security foibles so readers will not have to go through the same cybersecurity struggles themselves.